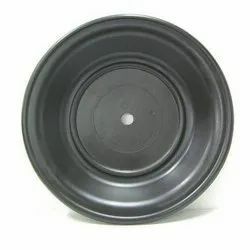 we offer Rubber Diaphragms for wide industrial applications. These are specialised diaphragms used in in pumps for chemical use. Dipahragms are lined with high chemical resistant PTFE coating on one side and sufficient re inforcement is given to take necessary pressure. Rubber PTFE Diaphragm have PTFE. On material on one side and the other side bonded with rubber. The rubber material can be natural or synthetic,as per functional requirements. These are manufactured according to customer requirements, plain or in various profiles. Teflon.on material gives toughness, chemical resistance properties, whereas rubber material provides flexibility. 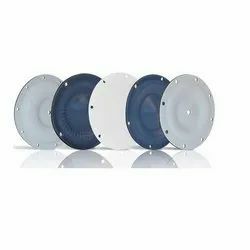 Rubber diaphragms available with us are highly resistant to various media at different pressure levels. Its application area includes motors, pumps and valves. 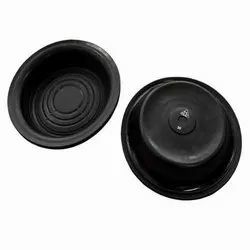 We can customize the rubber diaphragms as per specific requirements of our clients. We also offer Rubber Washers.